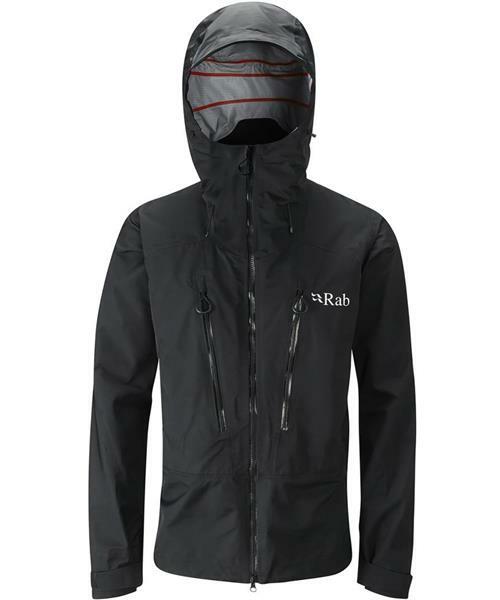 The ultimate waterproof for the mountains, Rab's Latok Jacket provides essential protection as you battle the elements. Built to endure the worst winter can throw at you the Latok is one of the toughest jackets on the mountain. Made using exceptionally durable eVent fabric with a DV expedition membrane you can be sure of protection even as you face the most hostile environments. The Latok's features are honed to handle the extreme. With a fully adjustable, helmet compatible hood, 2-way YKK AquaGaurd Vison zip optimised for use with a harness and YKK AquaGuard pit zips you will be prepared for any storm.